A New York driving abstract or motor vehicle report contains all of the information about a driver’s history on the road including personally identifying information. It is recommended to learn about what is contained within your driving record so you can be sure that all of the information is accurate. Checking your NY MVR report online is the best way to find out exactly what is contained within your report. If there is erroneous information listed there, it could affect your ability to obtain affordable insurance. Get a copy of your NY DMV abstract to uncover what is listed there with the State of New York Division of Motor Vehicles. NY drivers have a record of their driving history maintained on file with the New York Division of Motor Vehicles. The information is updated whenever there is a change including a new accident, DUI charge, recent tickets, and other relevant information. Learning about what is on your driving record can assist with being clear on the status of your license as well as ensuring that your driving privileges remain intact. Your DMV driving record in New York provides a comprehensive overview of any points, infractions, and offenses committed by you. Any negative information on your NY DMV record can affect your insurance rates. Your New York DMV motor vehicle report can be obtained whether you have a learner’s permit, standard license, or commercial license. What is on My NY DMV Printout? Your NY DMV printout contains all of the information relative to your driving history. Depending on where you obtain your driving record from, your report may include a segmented or a complete portion of your driving history report. Your driving history report may be a partial outline of your driving history or it may contain the complete driving history since you were first registered as a driver. 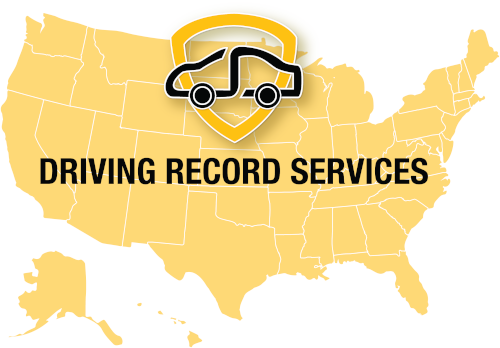 When you order your driving record through 4safedrivers.com, you will receive valuable information pertaining to convictions, violations, suspensions, reported accidents, special license classifications, and DUI convictions on record. Any points that are recorded on your DMV record in New York will be reflective of offenses committed while operating a motor vehicle in the State of New York as well as any points incurred while driving out of State. The New York State Department of Motor Vehicles utilizes a point system to calculate the number and severity of every traffic infraction. Each offense is assigned a specific number of points and when the total exceeds a set limit, the license is subject to suspension or complete revocation. Drivers who need to request a copy of their DMV license report in New York can get a copy of their New York driving record online. This record contains all of the relevant information regarding how many points are on the driver’s license. Fill out this short form to obtain a copy of your NY driver history by email. What happens if there are points on my NY driver license? If there are points on your New York driver license, a number of things can occur. You may have limitations on your driver’s license status, your insurance rate may become affected, and you might even miss out on certain employment opportunities. If you have too high a number of points on your license, your New York driver’s license could be suspended or revoked entirely. For drivers who are wondering how many points are on my New York driving record, the best option is to obtain a copy of your NY MVR report. Simply fill out this short online form and you will receive a copy to the email address you provide in less than 24 hours. How Many Points Before My NY Driver License Is Suspended? In New York State, the Department of Motor Vehicles uses a point system to determine the severity of each traffic offense. The DMV maintains a record which holds an account of how many points are collected by a motorist in a set period of time. Too many points can result in a driver’s license suspension or revocation. The driver responsibility assessment fee varies depending on the number of points within the 18-month period. Depending on which traffic offense occurred, a driver can be charged between three to eleven points for one infraction. If a driver receives six points on their NY motor vehicle record, the result is an annual assessment fee of $100. In the event that a driver receives over 6 points in a year and a half, they will need to pay an annual assessment fee of $25 per additional point in addition to the original $100 fee for 6 points. Reducing points on your New York license will help you to qualify for lower insurance rates. In addition, you can also improve your chances of being hired as a commercial driver or delivery driver. Taking the time to check how many points are on your New York DMV abstract will help you be aware of the current status of your NY license. 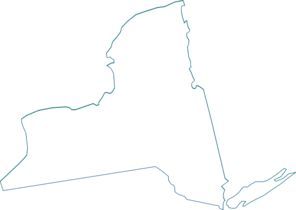 In New York State, an insurance company can access the driving history of a motorist who is requesting a quote or applying for insurance coverage. The insurance company can’t access the full, comprehensive report but they will be able to see a summary listing of the contents of the report. They will use this information to determine whether or not a driver poses a risk to insure. If there is negative information listed there such as recent tickets, accidents, convictions, or other infractions, this could cost hundreds of dollars in insurance premiums. The insurance company can view information listed on the motor vehicle report in New York for the past three to five years or longer. When applying for insurance, it helps to know ahead of time what information listed there might affect the insurance premiums. If an insurance rate has increased dramatically, information found on the NY driver abstract could be the cause. Once the insurance company has reviewed the NY DMV license history, they will be able to assess the driver’s risk factor. Some of the information which would influence the decision includes accidents, convictions, driving violations, DUIs, and other driving violations. At 4safedrivers.com, we provide a copy of your online driving record in New York that is sourced directly from the New York State Department of Motor Vehicles not just from a public record. This means you can be certain of its full accuracy when you place your online order today and receive your DMV report by email. How Long Will it Take To Get My Driving Record? Obtaining your NY DMV report can take a few days when you order it through the New York Department of Motor Vehicles. However, when you order your convenient online report with 4safedrivers.com, you can receive your DMV report in just a few minutes by email! The information provided in your New York driving record report is sourced directly from the official NY Department of Motor Vehicles history report. This means you are receiving the most accurate and updated information available.